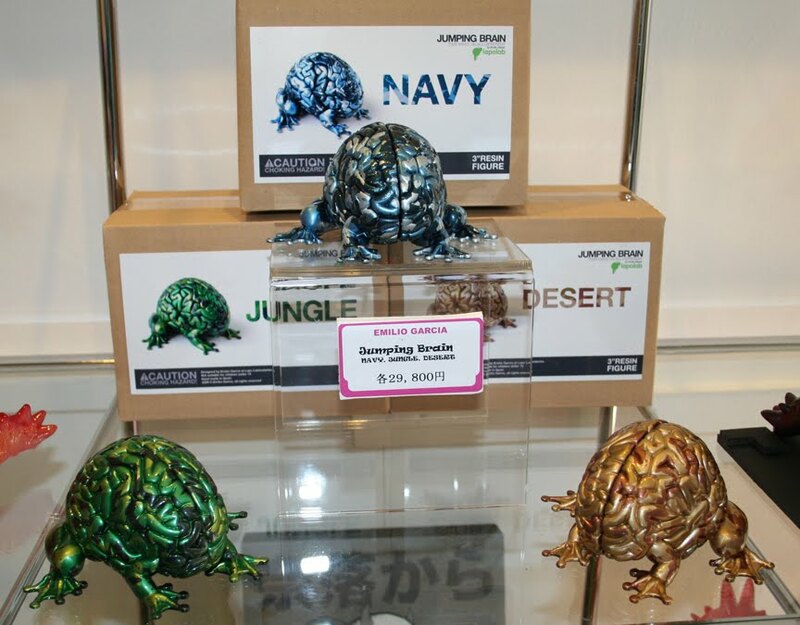 It’s no surprise they sold out quickly ! 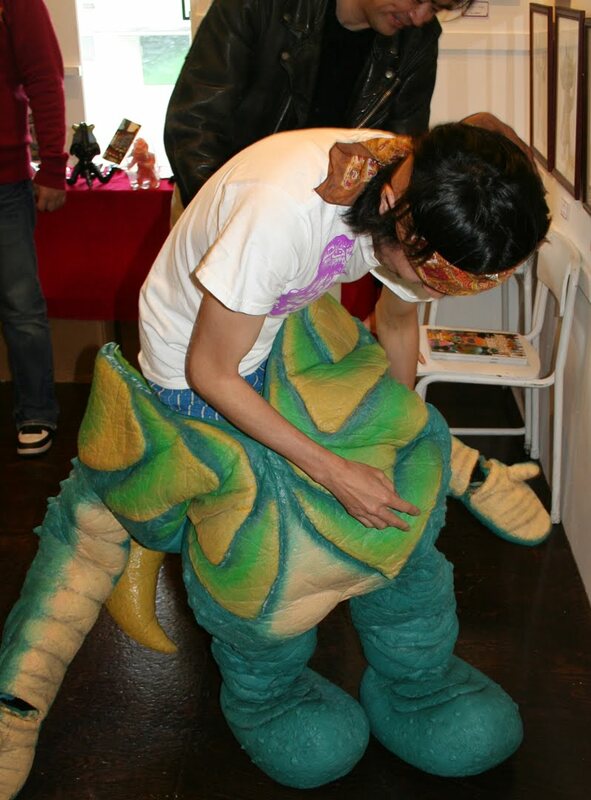 Karasawa-san was also kind enough to have the head of Kaiju suit making at Tsuburaya, Mr. Shinada-san ( pictured above to the left ) come along to look at the show. 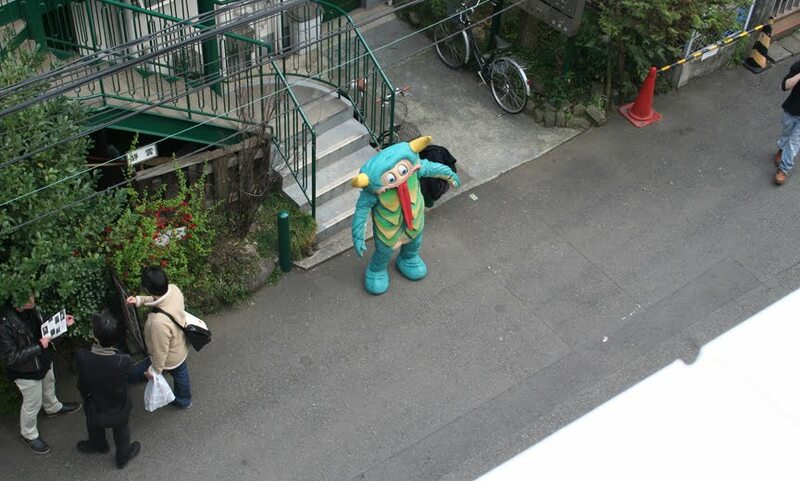 Wow (! 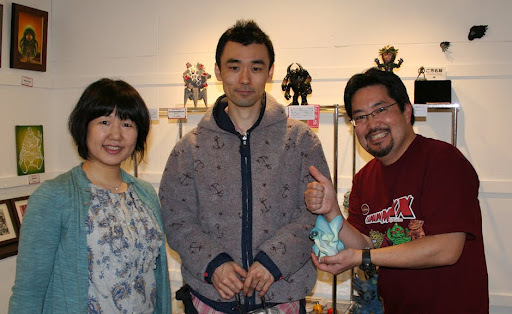 ), what an honor, as those Otaku out there may know he is a world class sculptor of Godzilla and Ultraman suits in both the Film and Television world but also in the toy realm. 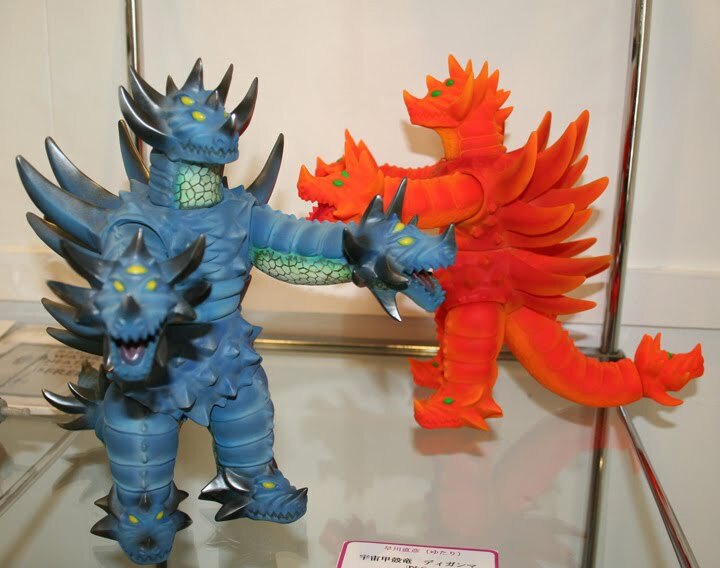 I was interested to get his read on our show, and all the various takes on Kaiju. 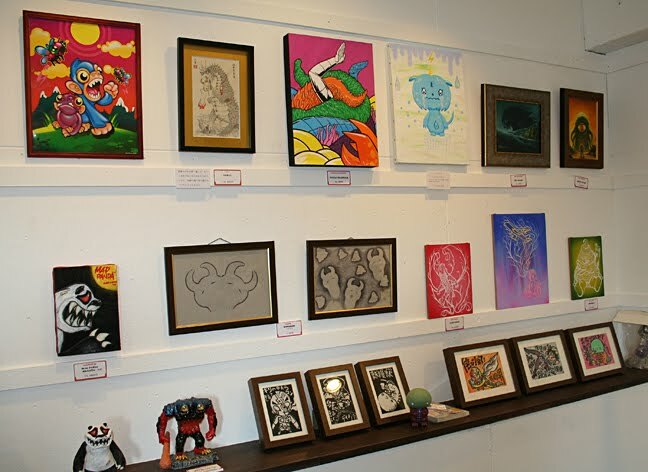 He was impressed and could see the Japanese influences on the various US artists. 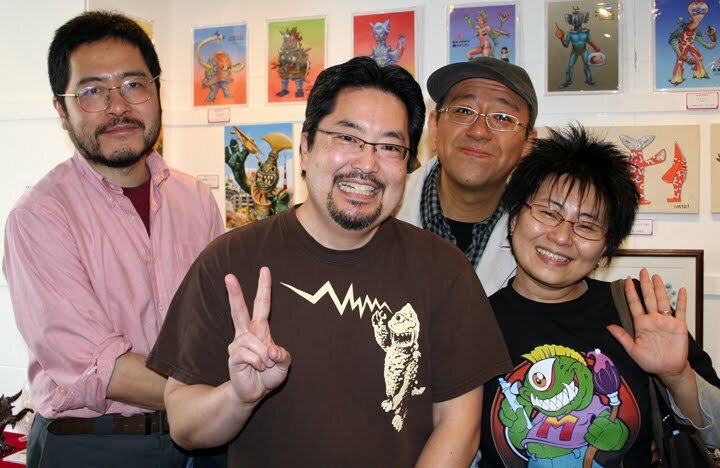 I really wish I had more time to spend talking to them about Kaiju .. but alas they had to leave. 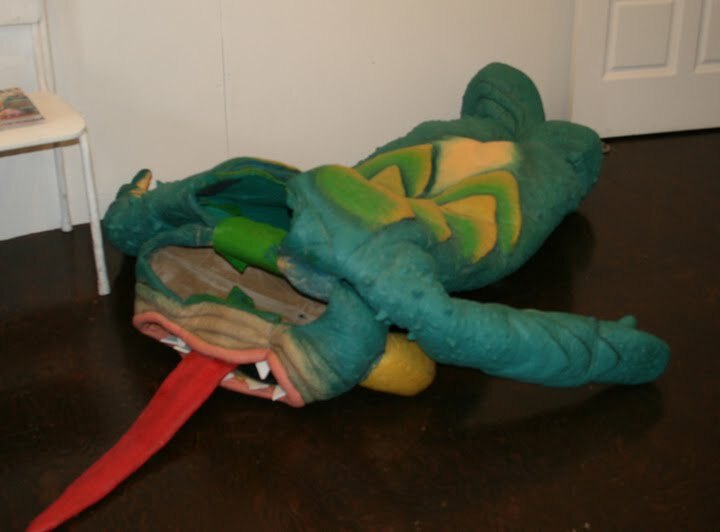 Oh we also had an 6.6 earthquake 😉 when the shaking stopped everyone said, KAIJU !!! also many artists are open to commission work and I encourage you to support them in this way. 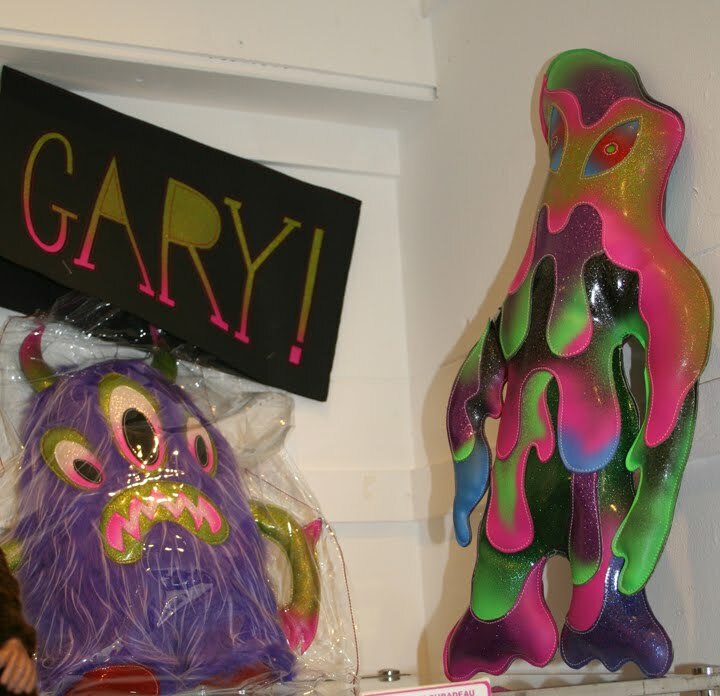 Dead Presidents Designs – Matt Walker , using his new Monster Kolor paints ! 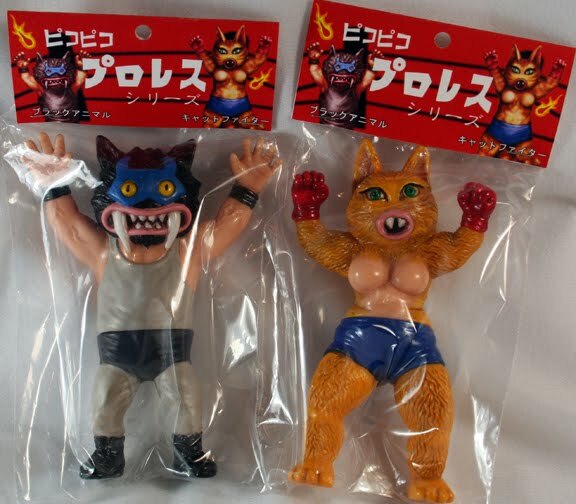 TTToys cool figures ! I had trouble figuring out which way was up .. but it works from any direction ! 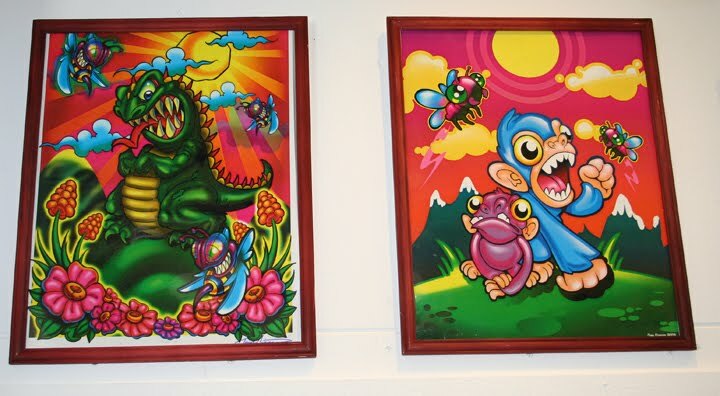 Tony Ciavarro colorful and bright artwork were popular with the girls here ! 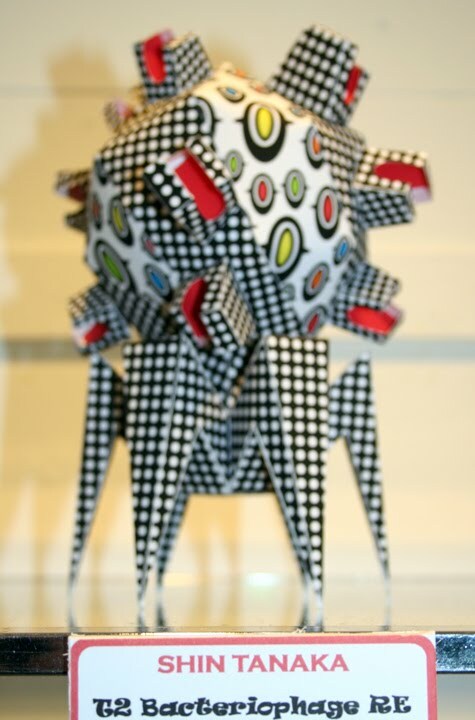 Shin Tanaka – Amazing figure made of paper ! How I have no idea ! 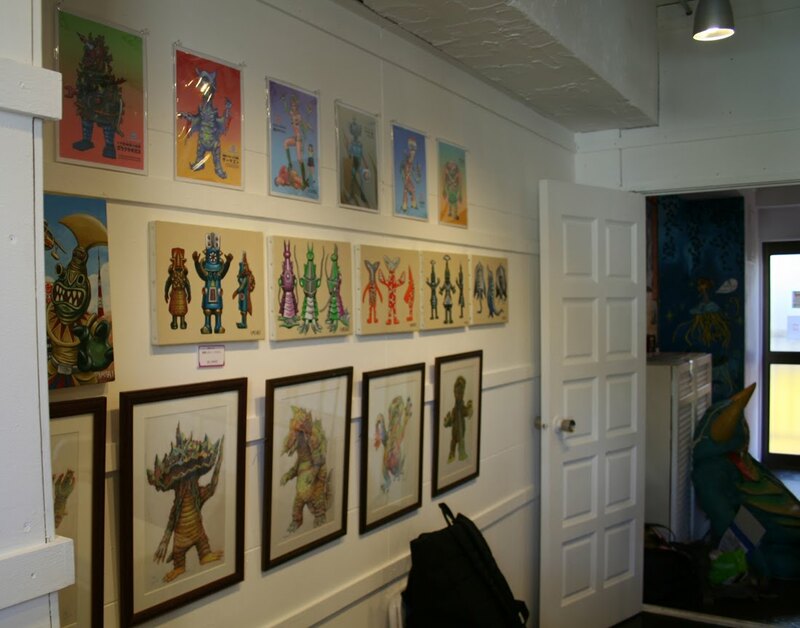 SunGuts awesome hand paint, he’s an old pro when it comes to shows. 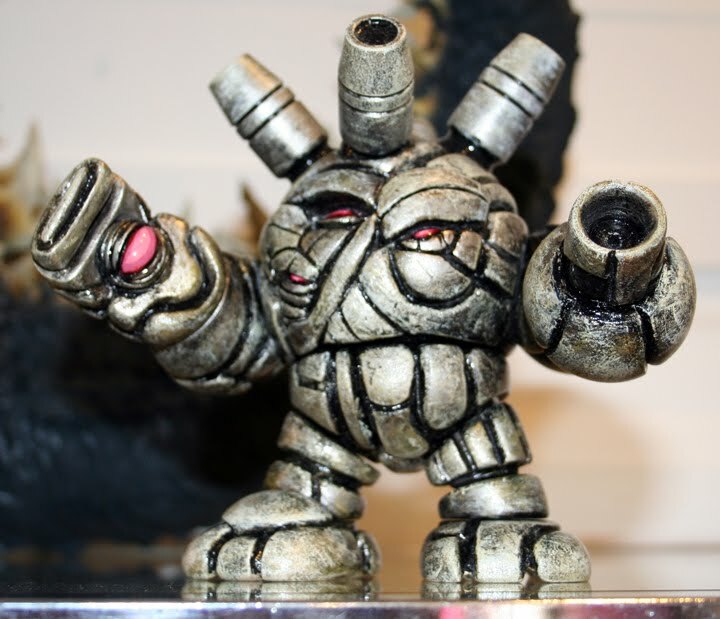 T9G – The middle size is a fully scratch made Ranges figure.. the details are perfect ! 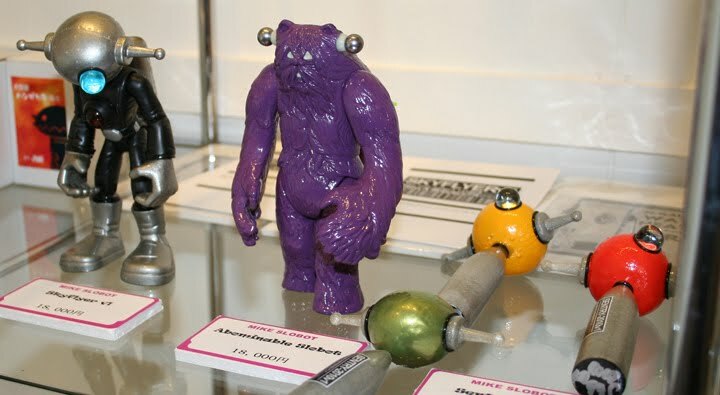 Mike Slobot – Mike’s unique bots were a hit and the Star Wars Wampa got lots of interest ! 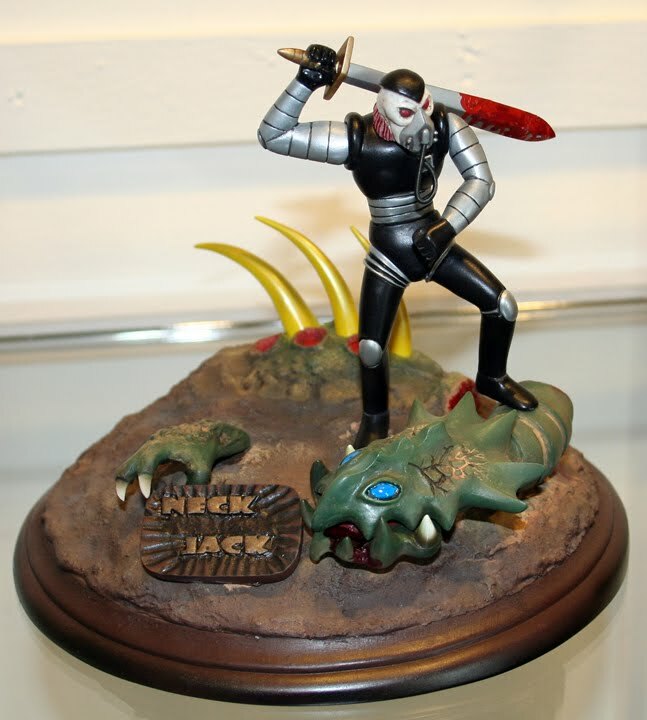 Shuji – This is a fully scratch built Space Trooper diorama.. very cool !!! 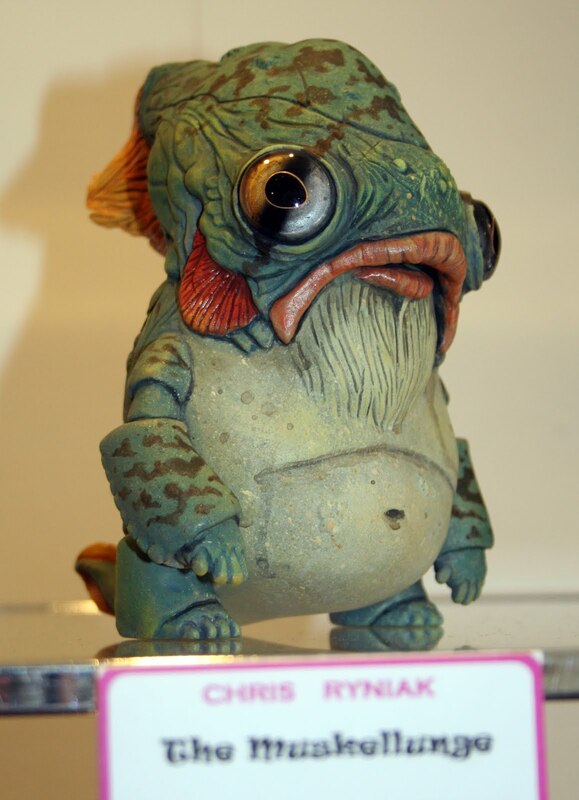 Chris Ryniak – Lake monster with hand made glass eyes, sold very quickly ! 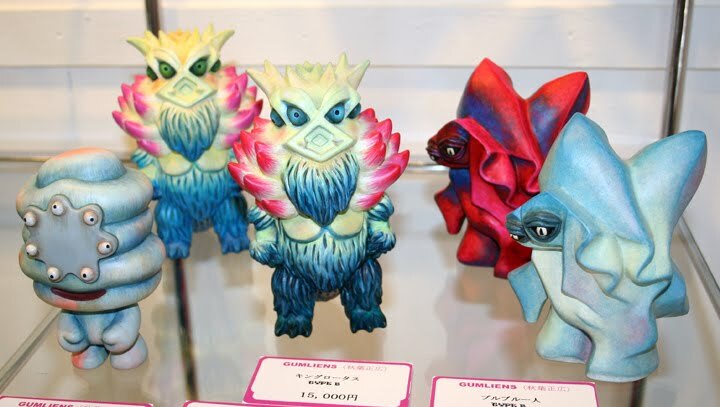 Rumble Monsters – with a rabid following these customs went quickly … ! 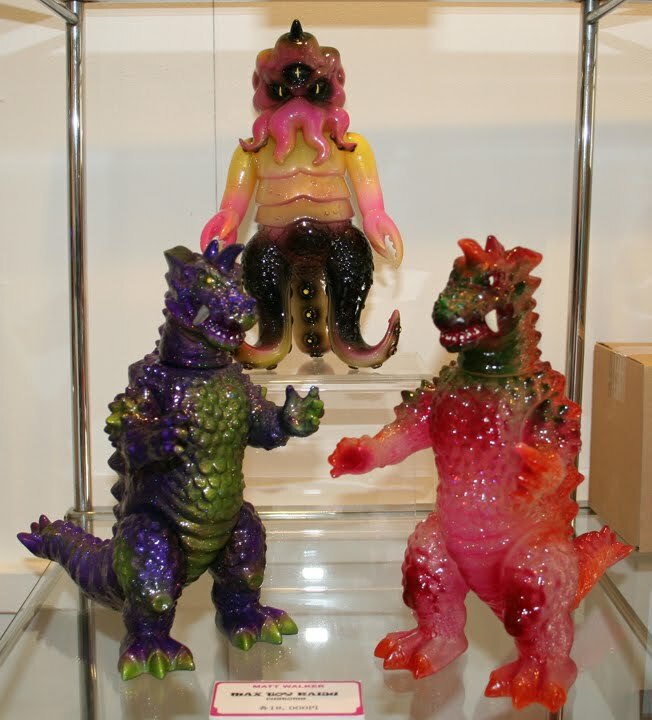 Paul Kaiju – Pauls one of those guys who can do it all, toys, resin, painting.. amazing selection of original Kaiju work ! 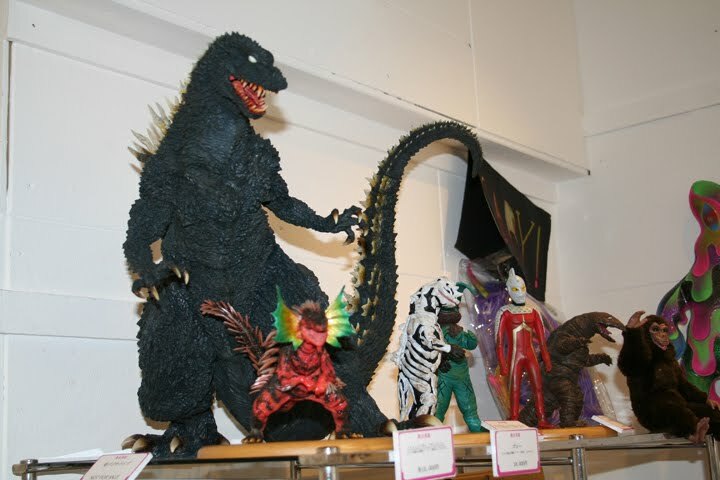 Shigeki Okuda – Those in the toy world know of the amazingly detailed work by this master sculptor .. and his talents were on display as you can see. 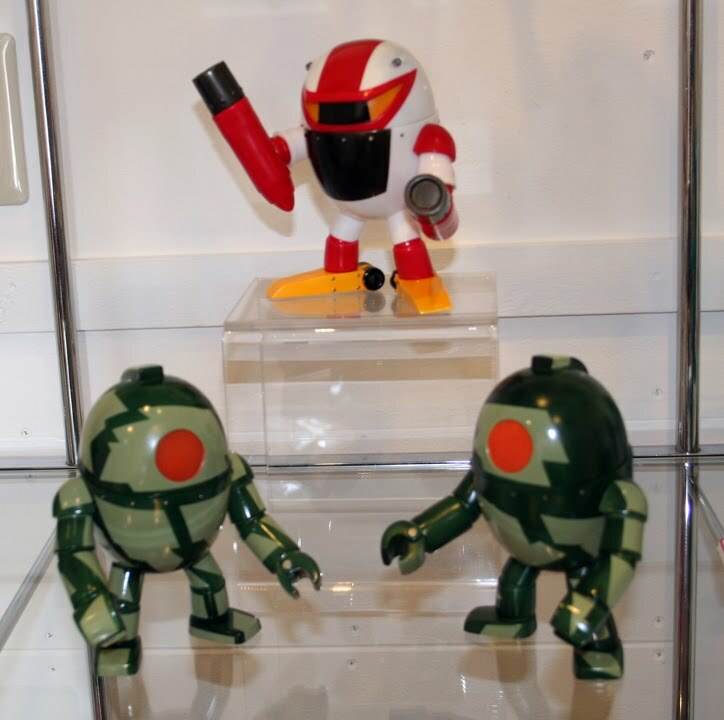 NerdOne – I didn’t even get one of these figures ( sniff ) the popular Steregon ! Kill! 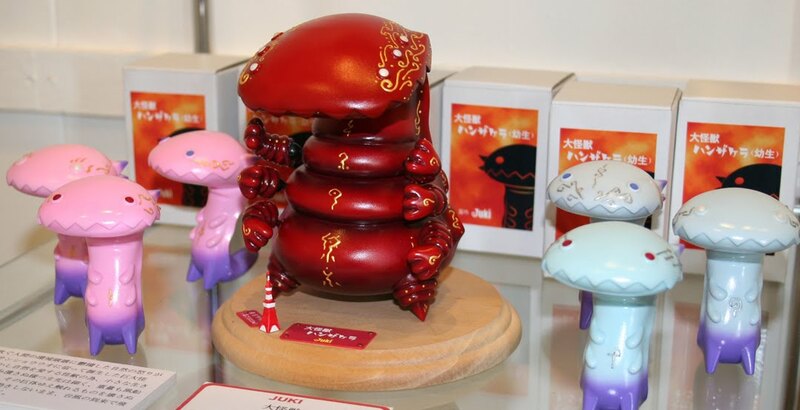 – once again more cute and monster-like figures in elaborate details ! 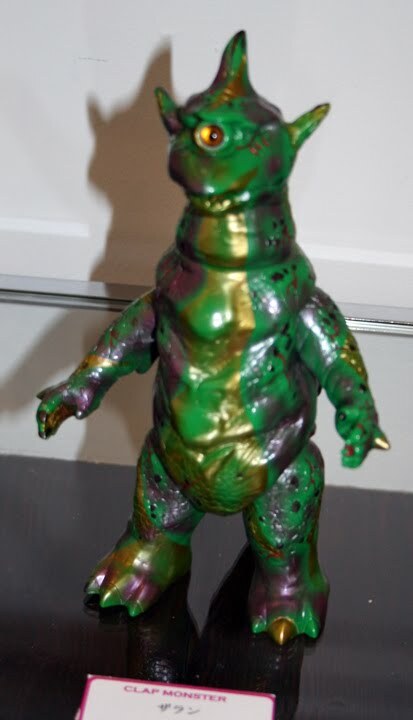 Kaijin – another one of those customs that did not last more than a few minutes .. very cool paint on this one ! Juki – this guy always throws me for a loop, he always comes up with something you’ve never seen and again he does the same this year ! 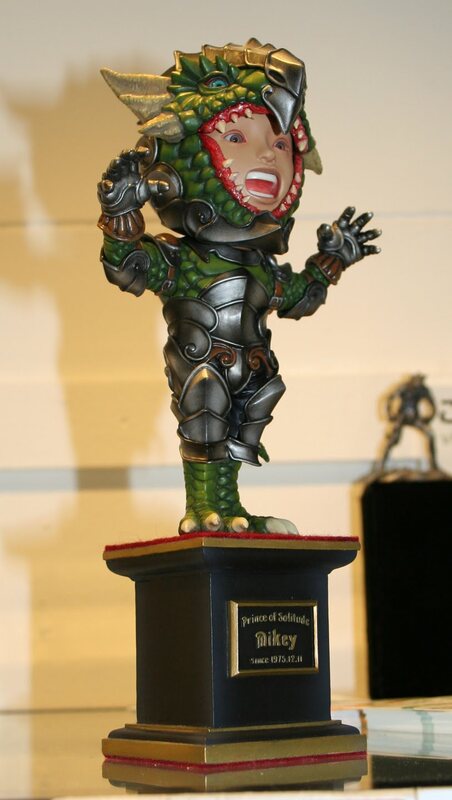 as a lot of the ones above sold quickly ..
Yuki Ishiyama – Once again how can any one sculpt like this ? 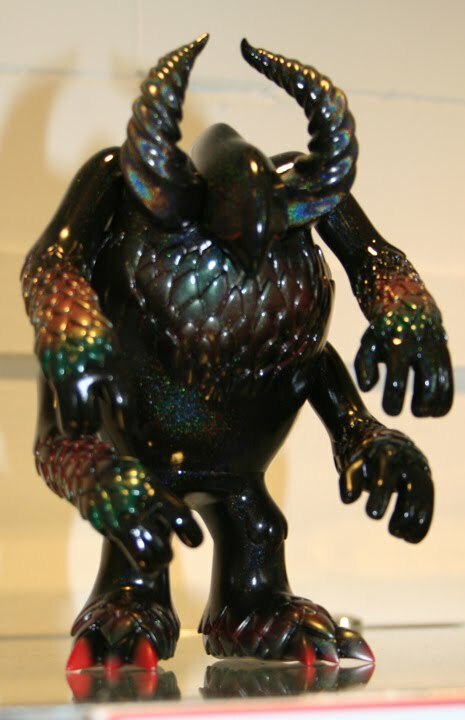 Pictures can not do his work justice… stunning ! 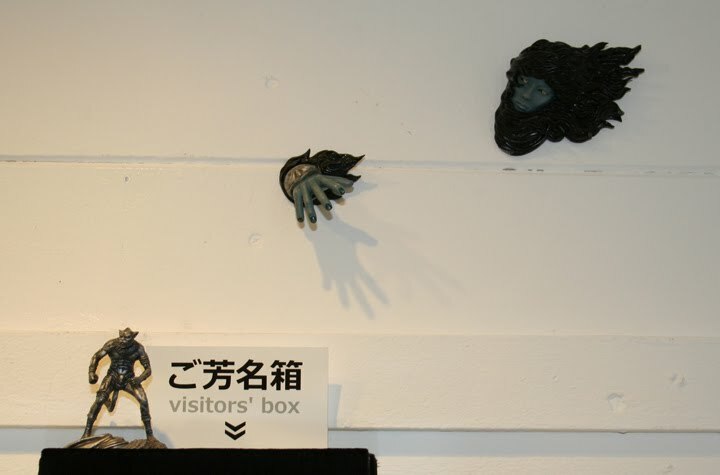 Imiri Sakabashira – while not for sale his work is amazing and currently has large cult following ! 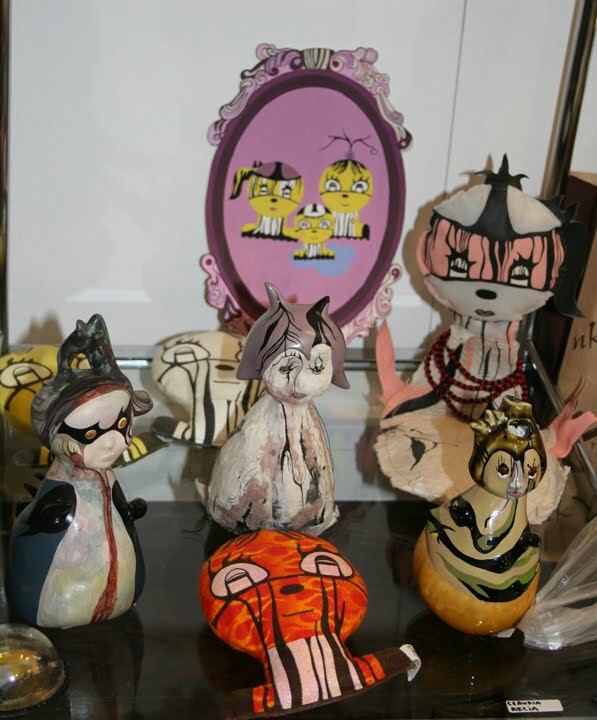 Horvath knows cute and of course these are cute ! 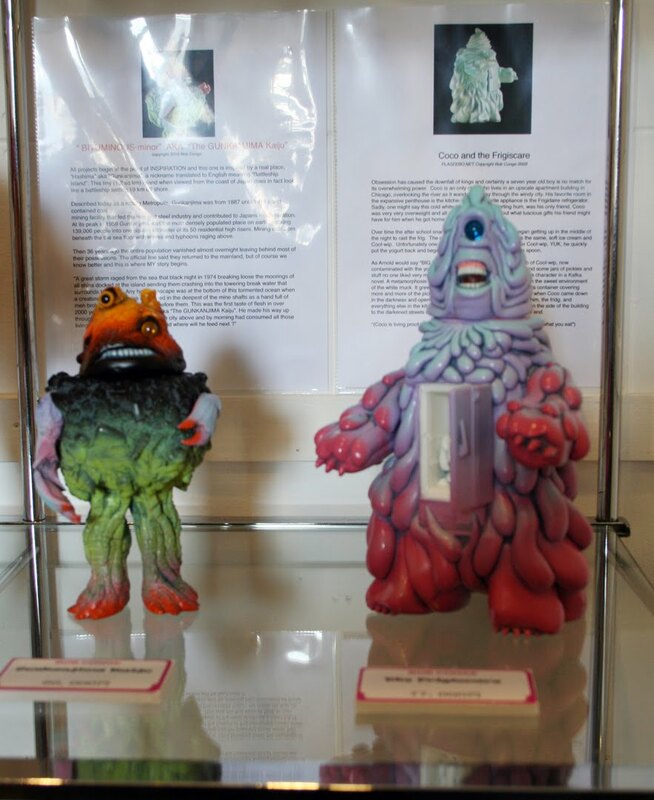 Gumliens – amazing next level Kaiju designs .. ! 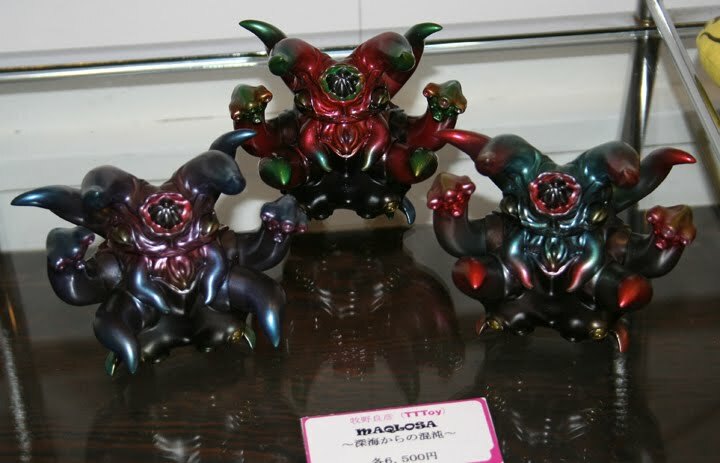 Some guy named Nagata and his Eyezons ! 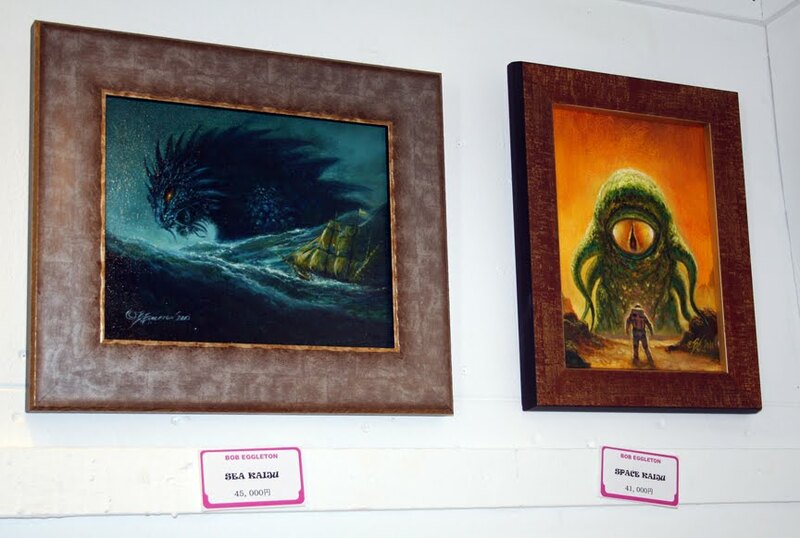 Bob Eggleton, most impressive oil painting master ! 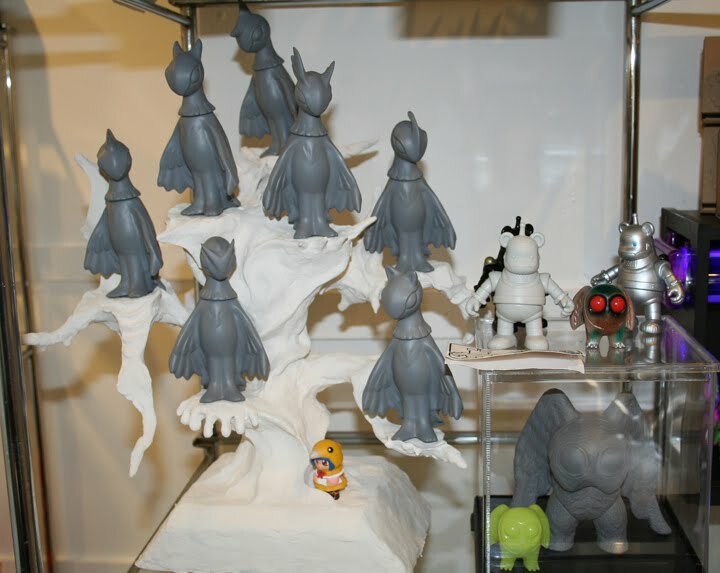 Junichi Yajima – aka Dream Rockets while not for sale these proto sculpts of birds sitting on a very cool tree .. yes the tree will be made in limited numbers so stay tuned. 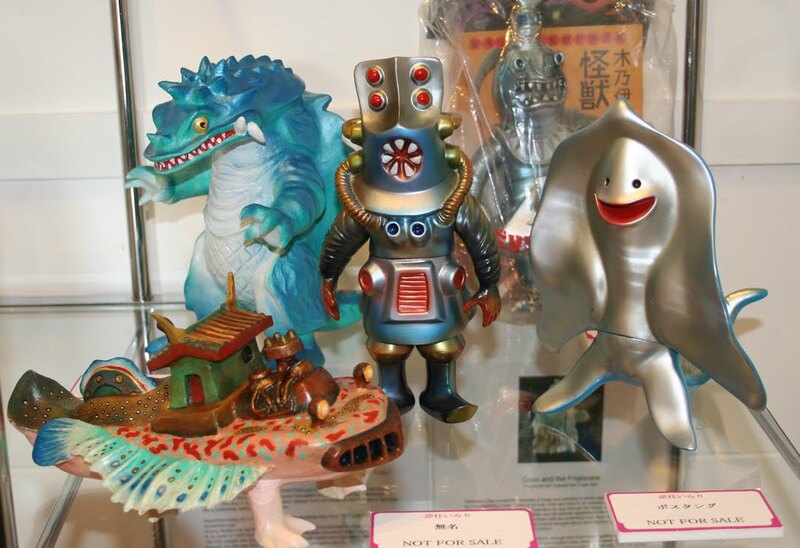 Bob Conge – Bob has a unique take on Kaiju he calls American Kaiju .. and now he has a following in Japan, both custom sold quickly including one guy who traveled far just to score his toy ! 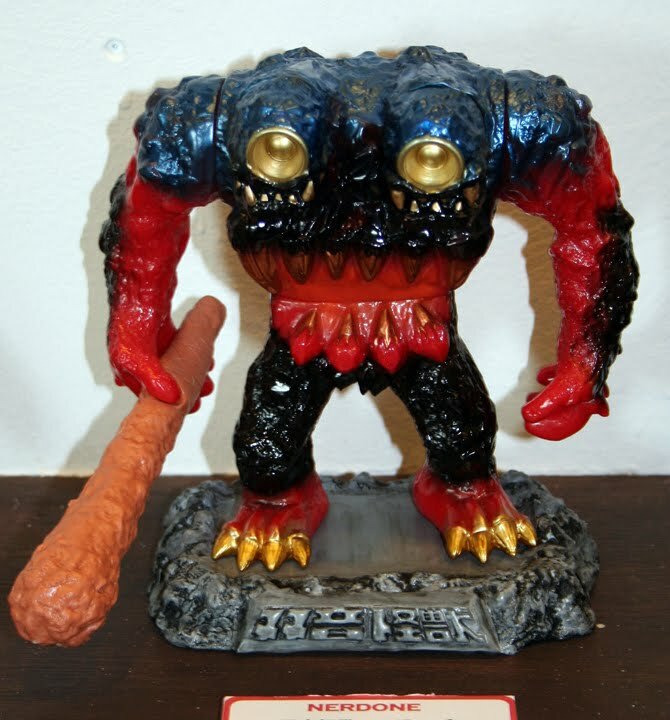 Clap Monsters – Hand painted custom Zaran , very cool ! Claudia Arcia – Hailing from Venezuela, Claudia brings her unique take to the show and many fans are impressed ! 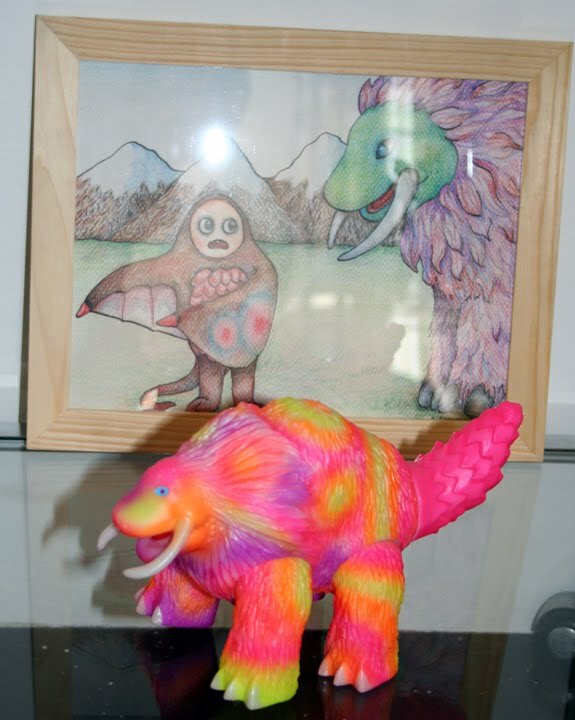 Buff Monsters – Making cute monsters is what Buff does best as you can see !The painting was a personal fav of mine. 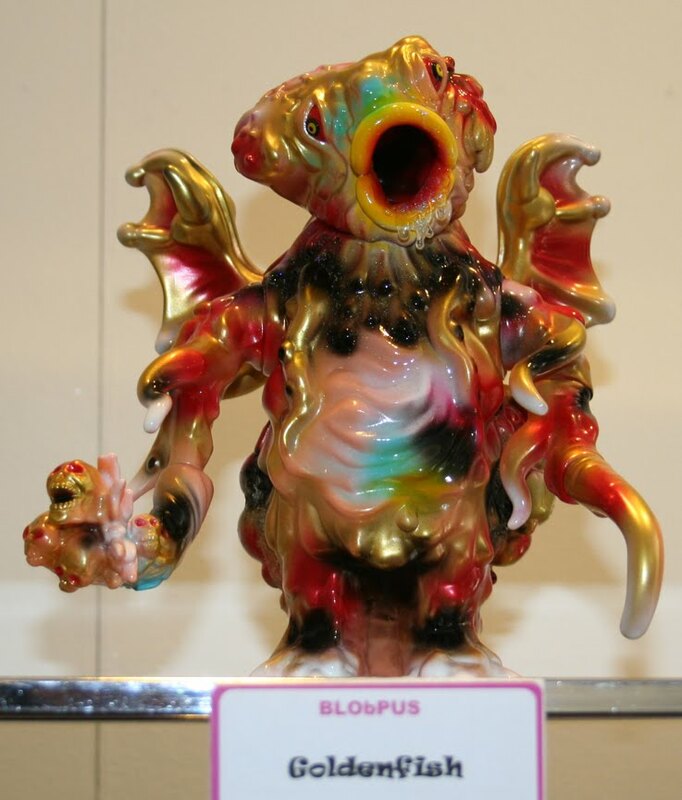 BlopPus – Wow, this thing was beautiful and of course sold instantly ! 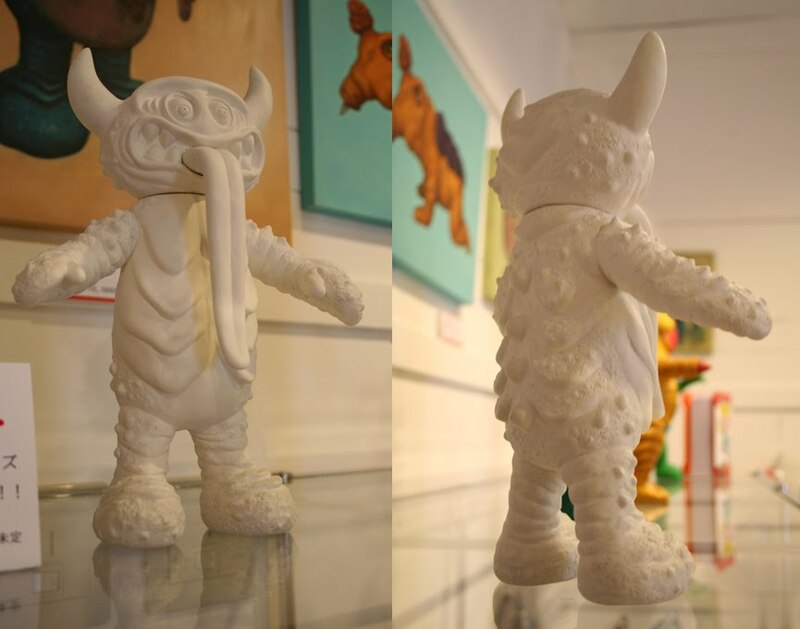 PiCo Pico – this figure will soon be a soft vinyl figure.. I can not wait , will be so cool !!! 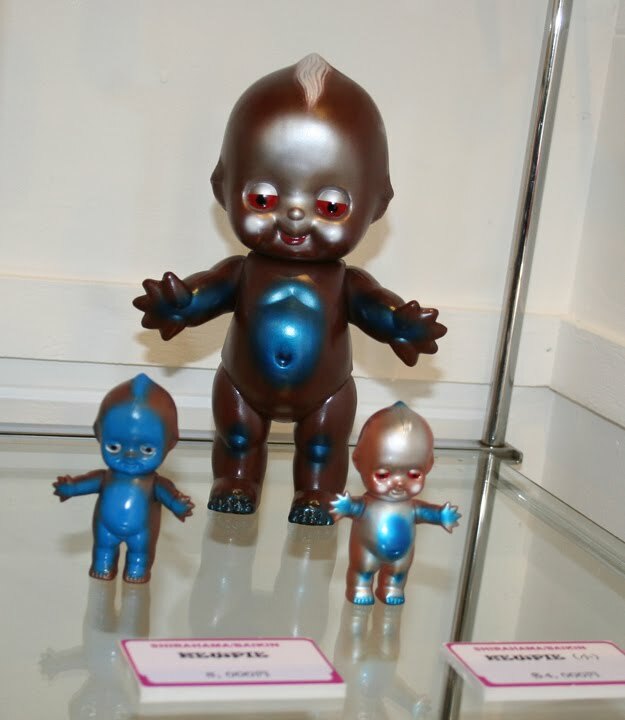 Throwing down old school Marusan paint style on these Kewpie dolls ! Ok so I don’t even want to think about this anymore.. I’m gagging here ! The next day ( Sunday ) , Bekos got some air freshener .. thank goodness.